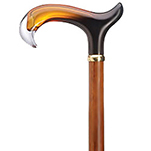 This unique walking cane combines hickory’s legendary strength and solid weight with a unique easy-to-hold knob handle. 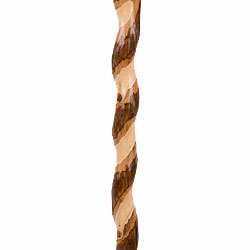 The spiral twist in the shaft in a lighter shade makes for a stunning combination. 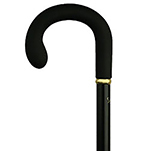 Whether you use it to take hikes, walk around your neighborhood or inside your home, this solid walking cane won’t let you down when it comes to support. 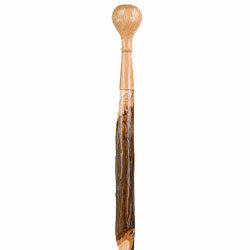 The smooth handle is intricately shaped to fit your hand. 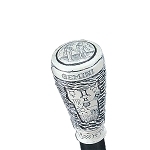 The rubber tip at the bottom helps you gain good traction to feel safer. 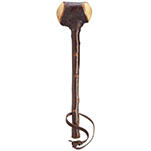 Handcrafted, one at a time, for a true work of art. They also make great gifts!